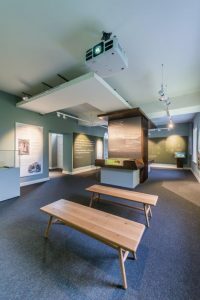 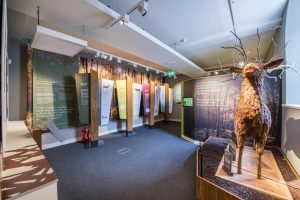 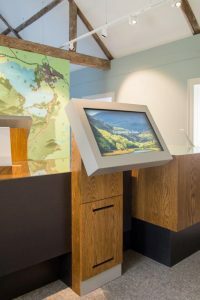 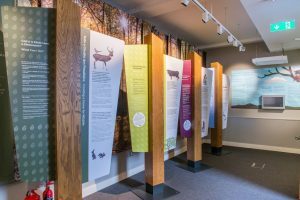 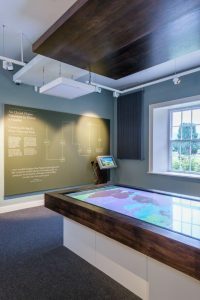 Marcon has completed the manufacture and installation of a new permanent exhibition at Killarney House, which has become the ‘gateway’ Visitor Information Centre in Killarney National Park, Co. Kerry. 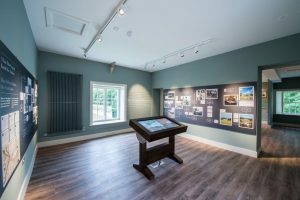 The house, once the home of the Kenmare family and more recently that of the wealthy Irish-American McShain family, is a few minutes’ walk from the centre of Killarney. 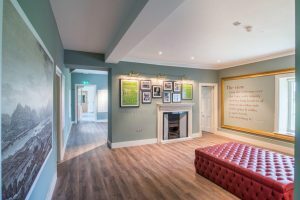 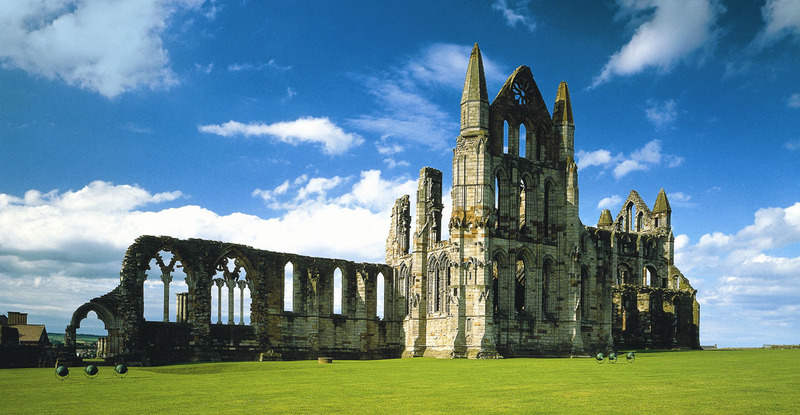 The house is located at the Golden Gates entrance to the National Park and contains an 18 room interpretative exhibition, management offices and furnished period rooms. 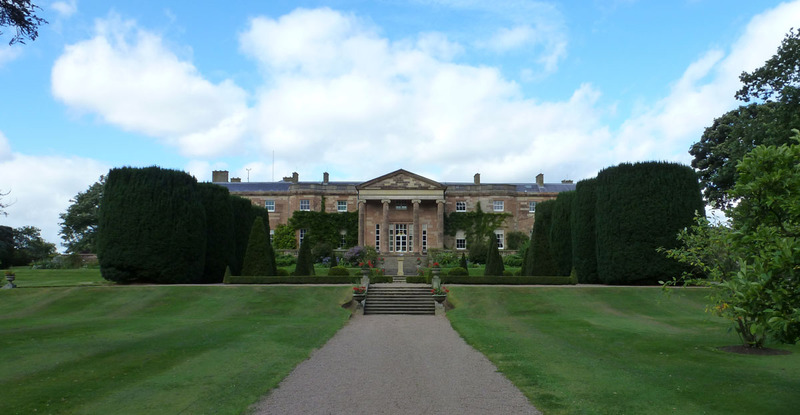 Along with the restoration of the house, a 35 acre ornamental garden has undergone an extensive programme to return it to its former glory. 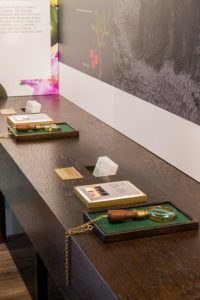 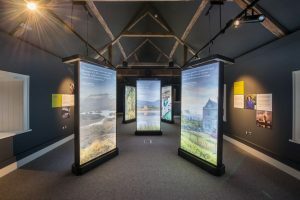 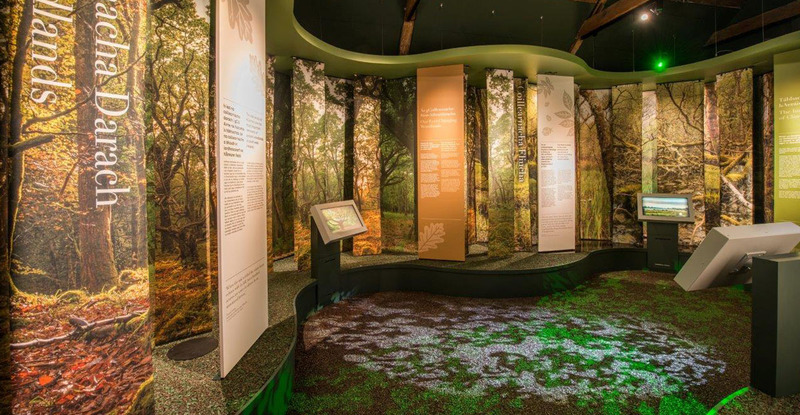 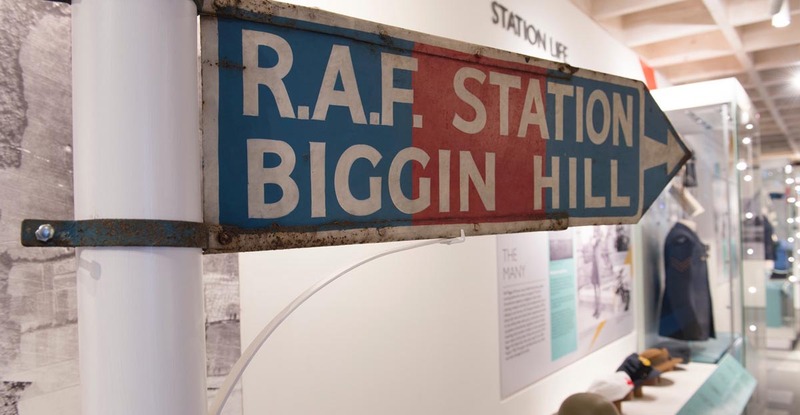 Interpretive designers Bright were commissioned to produce the interpretation, exhibition, tour, and audio visual content for the Visitors Centre and Exhibition Rooms. 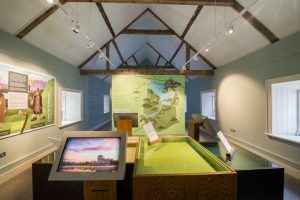 Marcon worked closely with Bright and the Department of Culture, Heritage and the Gaeltacht. 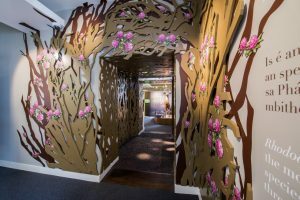 Marcon was responsible for the entire exhibition fit-out. 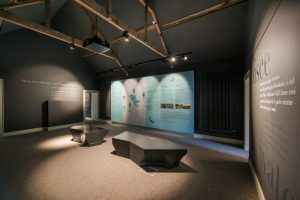 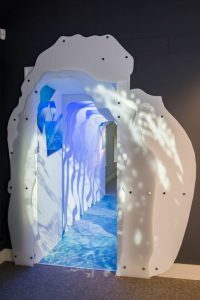 This involved the installation and manufacture of the extensive specialist joinery setworks throughout the 18 room exhibition, which included specialist metal work and solid surface items. 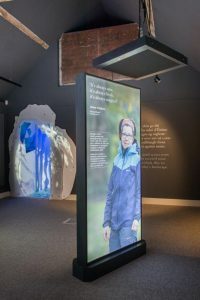 Marcon’s heritage team also coordinated all of the AV hardware installation which had to be integrated into the setworks along with the installation of all of the specialist graphics within the exhibition. 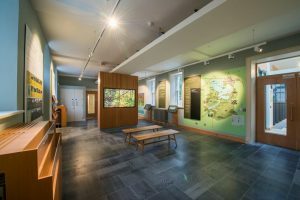 The fit-out also included the management of specialist paint and decorative finishes throughout the period building.